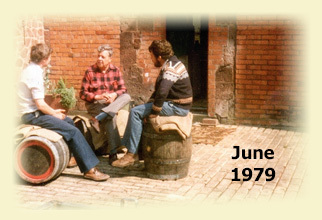 Produced since 1979, Tawny Bitter has become one of the most popular beers in the West Country. Brewed using Devon pale and crystal malted barley and Herefordshire hops, Tawny is a distinctive well balanced best bitter with a subtle hop palate which blends with the sweetness of the malt. Tawny has been a finalist in the Champion Beer of Britain Competition, and is a two-time Good Beer Guide "Beer of the Year". A pale golden beer, refreshing and slightly sparkling. Originally brewed to celebrate the Commando Royal Marines return from active duty in Afghanistan using Pale and Crystal malt and Northern Brewer, Cascade and Styrian hops. Five pence for every bottle and pint sold is donated to the charity "Go Commando" in support of the Royal Marines Family. Golden Seahawk formerly known as Golden Eagle became a regular brew in Summer 2001 and has rapidly become a firm favourite with local drinkers. Seahawk is traditionally brewed with Devon pale and crystal malted barley which gives the beer its characteristic bright golden colour. Carefully selected Goldings, Challenger and Styrian hops provide a fragrant aroma with a background of honey flavour offering a fruit filled smooth finish. Buzzard is a traditional dark ale brewed with pale, crystal and chocolate roasted malts and Herefordshire hops. Deep copper red in colour with the roasted chocolate malt giving a dry nutty flavour with hints of amaretto biscuit. The finish in the mouth is a dry smoky smooth finish. 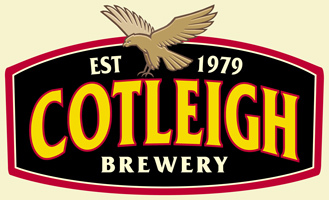 A two-time finalist in the Champion Beer of Britain Competition and twice voted Good Beer Guide "Beer of the Year". Voted supreme champion of the Maltings Beer Festival immediately after its launch in 1994, this classic premium ale continues to win many accolades. Traditionally brewed with pale, crystal and chocolate malted barley and selected Herefordshire whole hops. A copper bronzed ale with hints of toffee and vanilla. The finish is malty and nutty with a gentle sweet finish. Finalist in the 2000 & 2005 Champion Beer of Britain Competition, 2001 Good Beer Guide "Beer of the Year" and Champion Beer 1994 Maltings Beer Festival.